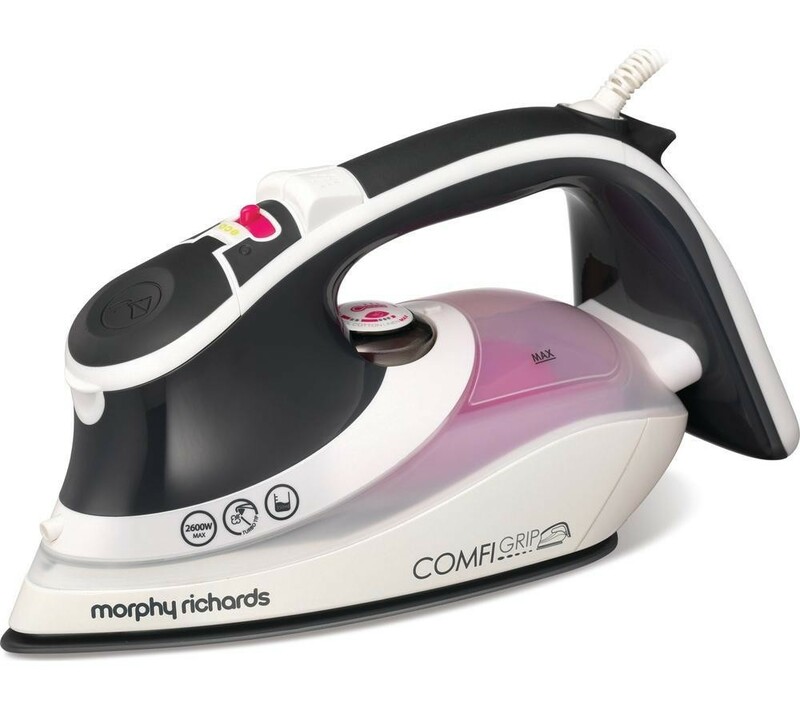 The Morphy Richards 301020 Comfigrip Steam Iron 2600W Ceramic Soleplate is the perfect appliance for ensuring your clothes are crease-free. 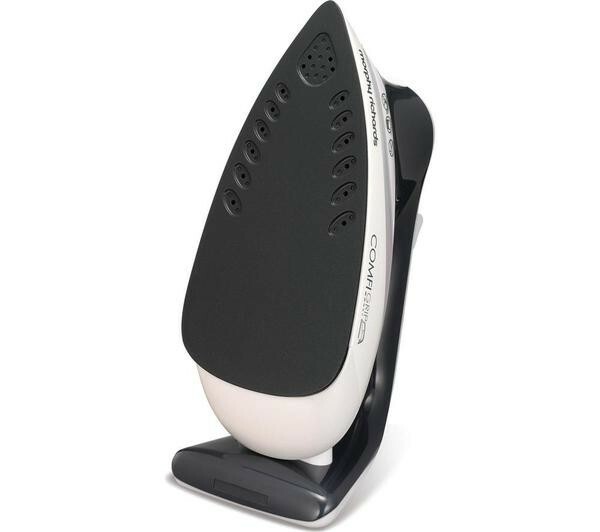 The ceramic soleplate glides over the fabrics removing any creases with ease and leaves them smooth and the TriZone Tip Technology uses three dedicated areas of the plate to help quickly remove the creases so you can finish your ironing and get on with your day. 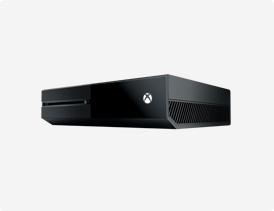 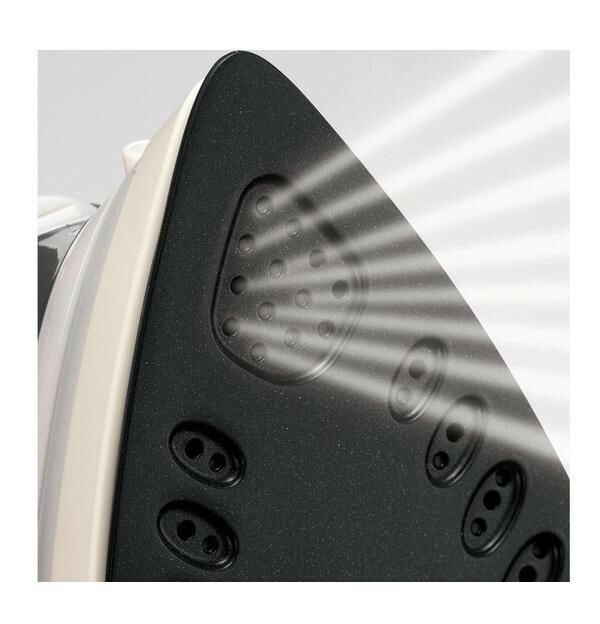 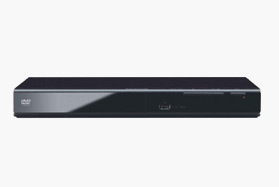 The iron offers 55g/min continuous steam which is enough to get out everyday creases and has a 200g/min steam shot to ensure even stubborn creases are removed. 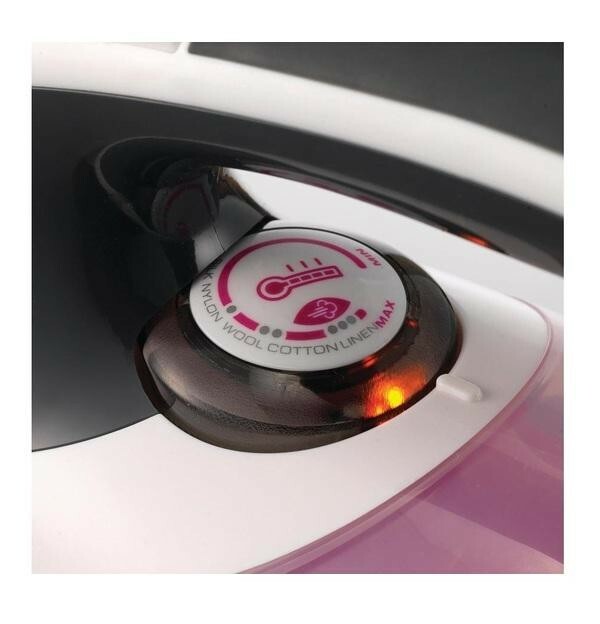 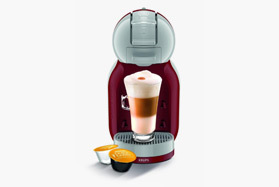 The 350ml water capacity ensures you can finish all the ironing in one go and the 60 second heat up time ensures you can start almost instantly.